Recently appointed Concertmaster with the Melbourne Symphony Orchestra, violinist Sophie Rowell has had an extensive performing career as a soloist, chamber musician and principal orchestral violinist both in Australia and abroad. After winning the ABC Young Performer’s Award in 2000 which resulted in solo performances with all major Australian symphony orchestras, Sophie founded the Tankstream Quartet which won string quartet competitions in Cremona and Osaka. Having studied in Germany with the Alban Berg Quartet the quartet moved back to Australia in 2006 when they were appointed to the Australian String Quartet. For 6 years she toured, recorded, participated in chamber music festivals and enjoyed performing that wonderful repertoire all over the globe. Special highlights included playing in the QuartetFest Bonn as part of the Beethoven Festival and giving performances for remote communities on Cape York in Far North Queensland. Since 2012 Sophie has traveled the world playing in principal violin positions with orchestras including the Scottish & Mahler Chamber Orchestras and the Vancouver, Sydney & Tasmanian Symphony Orchestras, as well as participating in many chamber music festivals in Australia. 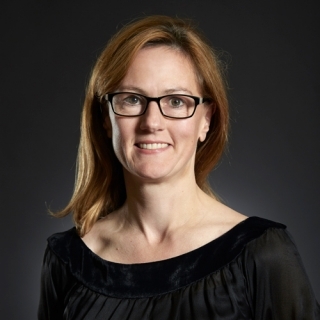 She now teaches at the Australian National Academy of Music having previously taught at the Elder Conservatorium in Adelaide and the Australian Institute of Music in Sydney. She has also given master classes in the UK, France, Singapore and Australia.